I, Effing Feline, have a word for you. Just one little tiny word. To see what it is, though, you’ll have to read on. 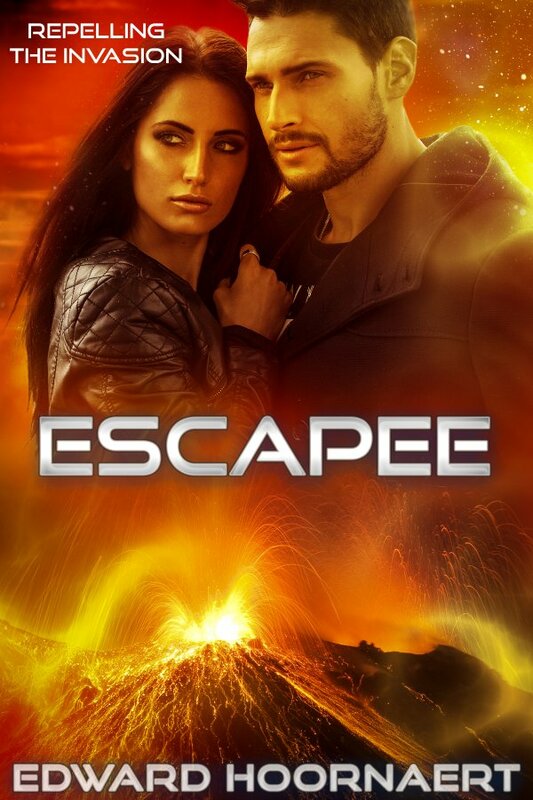 I’ve selected another snippet from Escapee, book 2 of the Repelling the Invasion series. (Minus the African Queen subtitle, you’ll notice!) Enemies from the Proxima star system have invaded the isolated mining moon where Catt Sayer makes her living flying supplies to military bases. She’s between bases during the attack and thus escapes capture. After landing at the ruins of the Castle Mountain base to search for survivors, she finds just one. Captain Dukelsky sits amidst the ruins, calmly typing a report. She urges him to flee in her airship. Instead of answering, he continued typing. Unable to contain her fury, Catt shot to her feet, stomped over to him and seized his shoulder to force him to face her. It was like trying to move a mountain, but he did lower his hands to his side. Effing Feline here again. Want to know what my one little word is? Then lean close to your computer. That’s right, like that. Here it is, then. 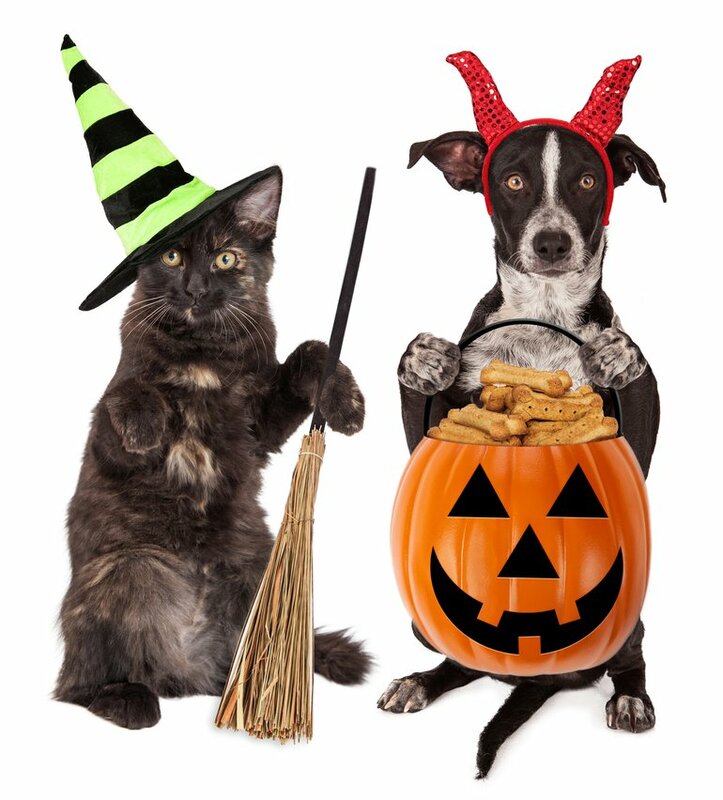 I, Effing Feline, and Twiggles the Dog, the little devil, wish you a Happy Halloween! 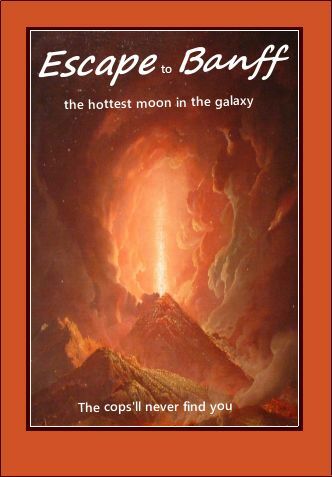 Hector Dukelsky, an upper-class career officer, yearns to fight a righteous war instead of defending corporate interests on Banff, an isolated mining moon torn by volcanoes. That dream seems dead when his entire command is slaughtered while he’s on leave. He returns to smoldering rubble, with no chance to survive let alone strike back at the enemy. Catt Sayer, a working-class fugitive from the law, earns a meager income carrying supplies on a decrepit airship, but her hard-won career vanishes when invaders capture Banff. While searching for survivors, she rescues Hector and flies him to safety. But he doesn’t want safety. He wants her to risk her life on a hopeless trek to attack the enemy headquarters. Catt is sure Banff will kill them long before the enemy can, yet she agrees to Hector’s mad scheme, certain he’ll quit after experiencing one of the moon’s eruptions or ferocious storms. But he doesn’t quit, and his noble dream—and his love—conquer her heart. She pits her life and love against Banff’s lethal environment, even though the only reward for success will be the opportunity to face 10,000 enemy warriors. Escapee will go live November 23 — the birthday of my oldest son, to whom the book is dedicated. Until then, it’s on presale at a few outlets, with more to come. So this is Duke’s brother? Yep. This is his twin brother, Hector. Duke’s given name is Priam, and their sister (who doesn’t have her own book yet) is Helen. Their family has a Trojan War theme. I have a feeling she underestimates his concern. And I love the cover!! I’ll pass your love of the cover along to the artist. This series is the first time I’ve worked with Jaycee. As always, great sense of characters and sharp dialog. Going to enjoy this one! Thanks for sharing such a positive reaction, Nancy. Another WOW snippet. Thanks for leaving this author in the dark. You like not hearing the resolution of these issues? Hmm. I need to rescue my copy of this book from my broken Kindle and read it! Just last night I watched The African Queen! Love it and your snippet! I enjoyed using the movie to plot this book. I looked for the turning points — Charlie comes to the mission to rescue Rosie, she dumps his rum overboard, etc — and made analogous turning points for the book. For example, Catt comes to the destroyed fort to rescue Hector, and she dumps the cannon out of the airship’s hold. Because of their contentious relationship, she puts the worst possible interpretation on his actions in this scene. Love the pic of Effing & Twiggles. I have got to reread this. I remember how intense she was, wanting to rescue everyone even if they didn’t want to be rescued. good snippet. I’m a re-reader myself, so telling you your want to re-read my book is a supreme compliment. Quite feisty, isn’t she? And I like the cover! I kind of specialize in feisty, underdog heroines. That’s a pretty reasonable assessment, Aurora. Fabulous cover, and very emotionally-charged excerpt. You have me hooked, big time! Happy Halloween to the adorable Effing and Twiggles! People really seem to love that cover! Good Snippet, she doesn’t take no for an answer, does she? She doesn’t like him, which helps to fuels her outburst. The cover seems to be a hit, based on this audience at least. I feel like they’re not communicating well. Makes me wonder what he’s thinking. Oh, he has his reasons. The book makes this clear, but only in following passages. Great dialogue. She sure is angry. Tweeted. Hmm, I have a feeling that report is important. From a fellow paperwork-lover, I feel ya, Hector! Does you devotion to paperwork rival Captain Dukelsky’s, then? This sounds so exciting and a real nail-biter. A story that Effing can sing her claws into. Happy Halloween to you. Love the pic of Effing and friend in costume. Effing doesn’t really need a costume. He can be scary enough without one.